AAA Car Care is building on our legacy of peace of mind and increasing transparency for our members. AAA Car Care puts you in the driver's seat of your car care visit. Watch our video to learn more and get a sneak peek of DVI. Now available at all AAA Car Care locations in the Carolinas. Reserve your appointment today! 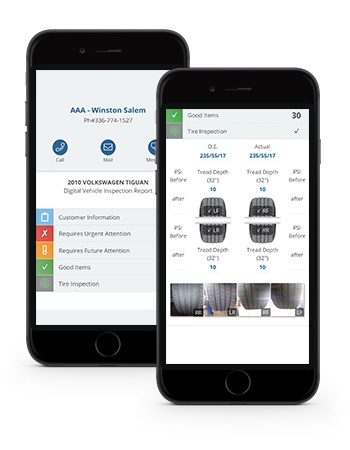 AAA DVI gives you complete transparency about the condition of your vehicle, from what needs attention now to what may need attention in the future by giving you full access to digital photos, videos and technician notes on your vehicle and real-time status updates via text. Finally, you can make informed decisions with all the needed information in the palm of your hand. AAA gives you insight into your vehicle’s health at every visit. Reserve your appointment today to experience a new way of car care. Now available at all AAA Car Care locations in the Carolinas.